This very large plate measures 10 1/2 inches in diameter. 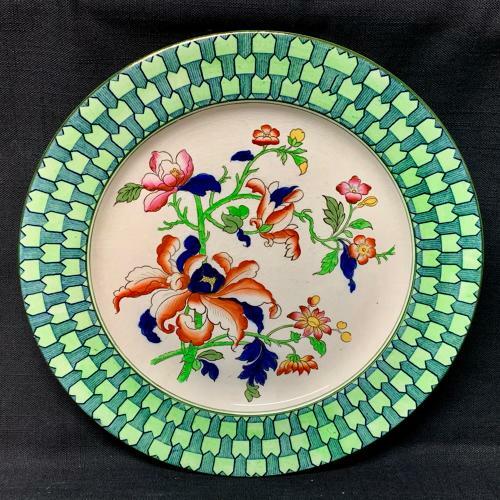 The plate is decorated with a fabulous broad border surrounding exotic flowers. The pieces were made by Doulton Potteries in the Staffordshire region of England.